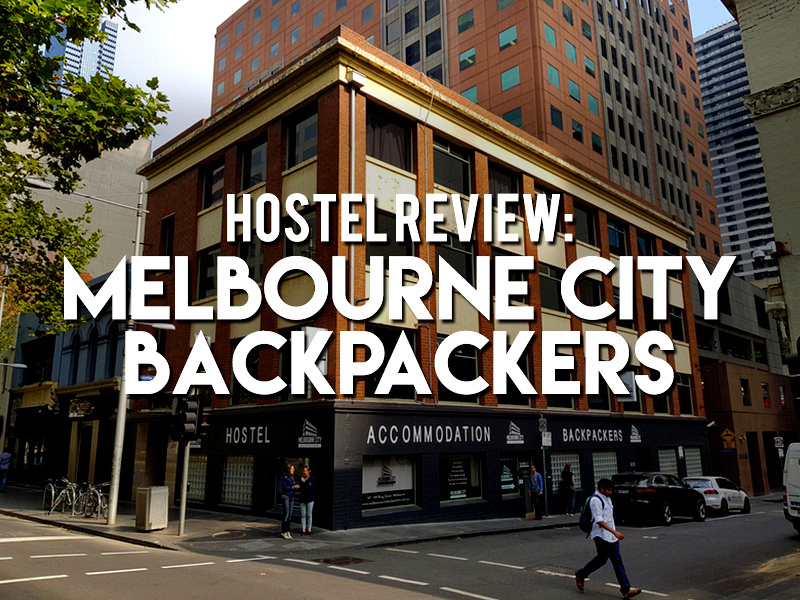 I stayed at the Melbourne City Backpackers in Melbourne. This was a last-minute booking for me as I ended up staying in Melbourne another day. I’ve stayed in countless amounts of hostels around the world, but it felt strange to be hostelling in my former home city. 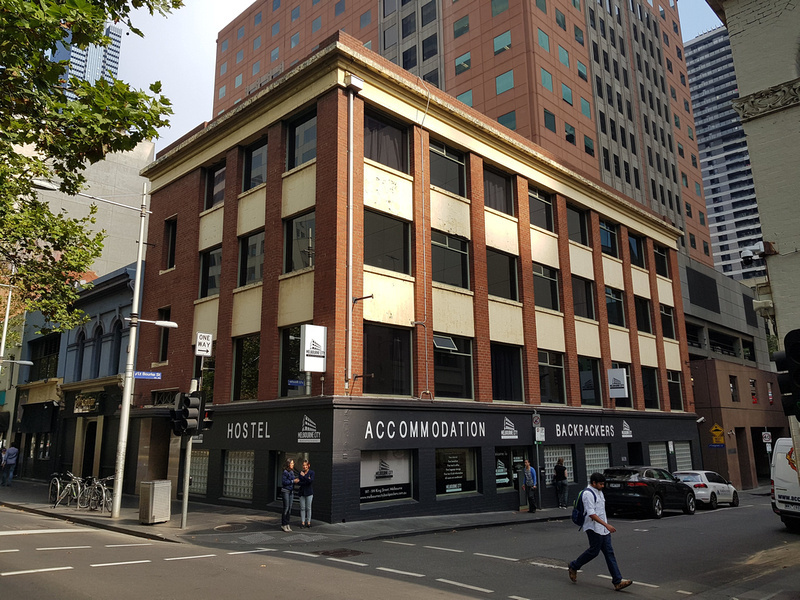 Melbourne City Backpackers was formerly known as King St Backpackers and it is on King Street in Melbourne. This used to be a famous street for night clubs, but these days the apartment boom of the Central Business District has changed the vibe of the city. 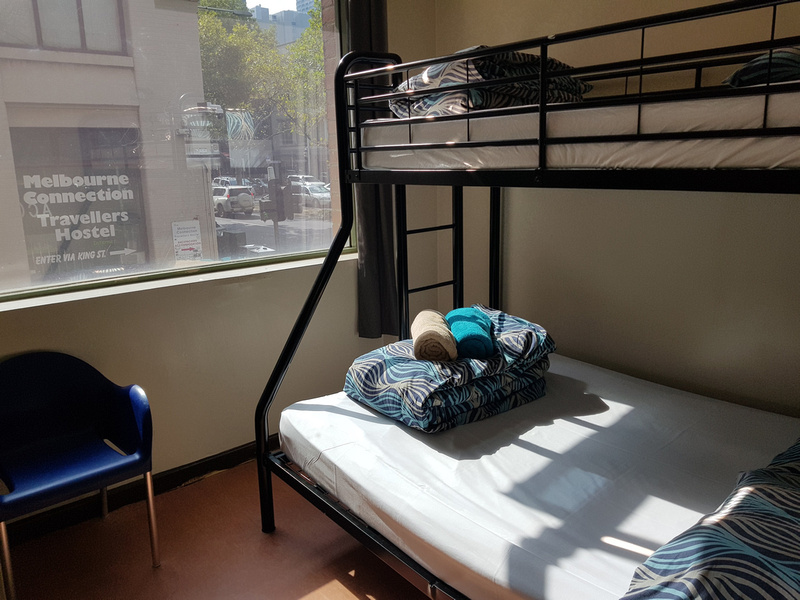 The hostel is one block away from Southern Cross station, so it’s easy to get to from the airport bus and trains. I booked a private room with a shared bathroom. My room had a double bed and single bunk, and a big window overlooking the street. 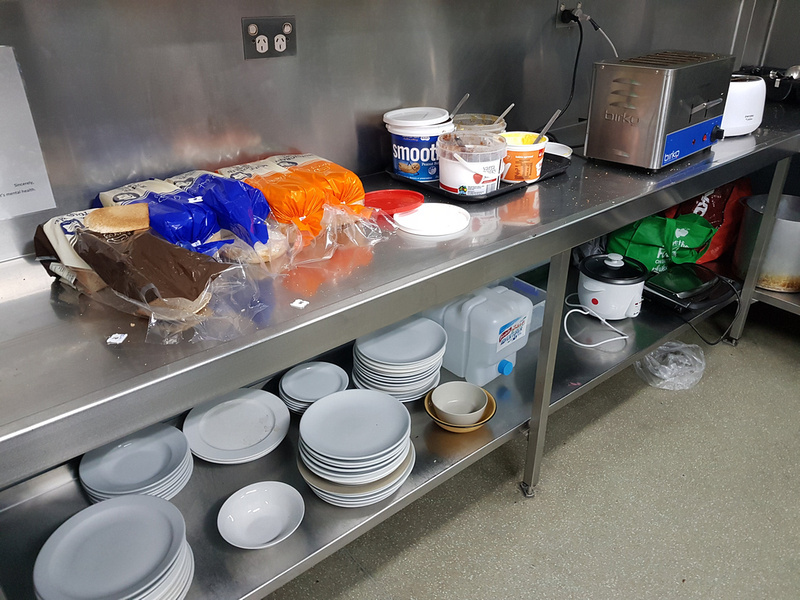 It was a typical private room in a hostel – comfortable spartan space, cheaper than a hotel and without having to sleep in a dorm. 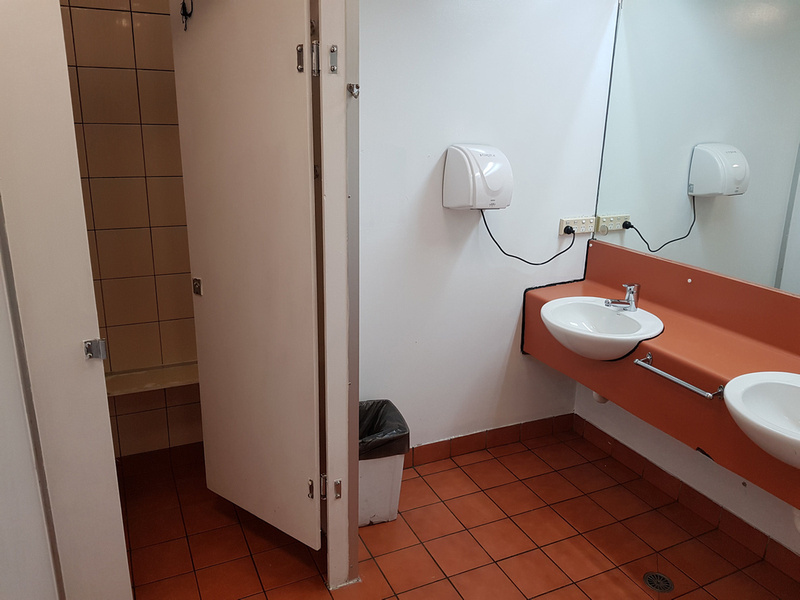 The bathroom was ok apart from one of the showers not working, so there was only one. I get up early in hostels anyway so I usually get the first shower. 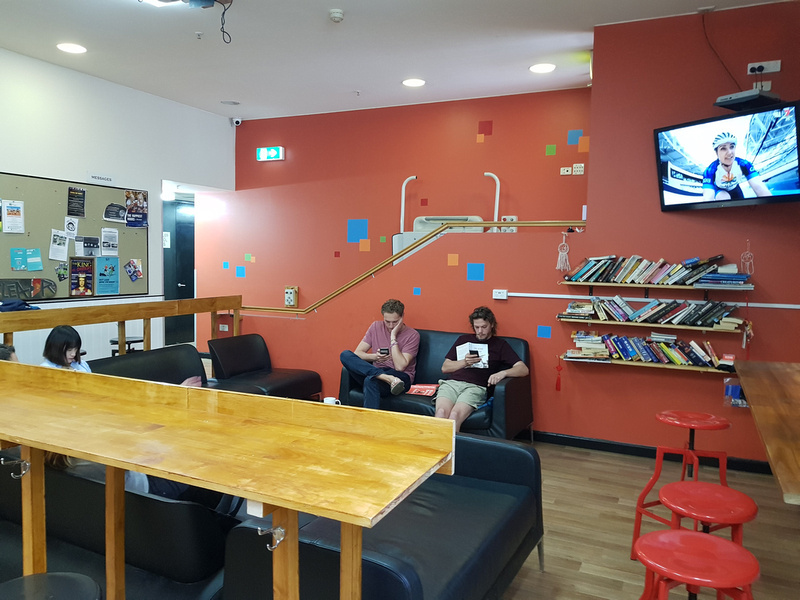 There is a big common area which has a large dining table/work space, and a TV lounge area where you can socialise with others or check your phone with everyone else. There is a free breakfast which is your bog standard hostel fare of cereal and white bread toast. Every free breakfast helps though in the land down under. 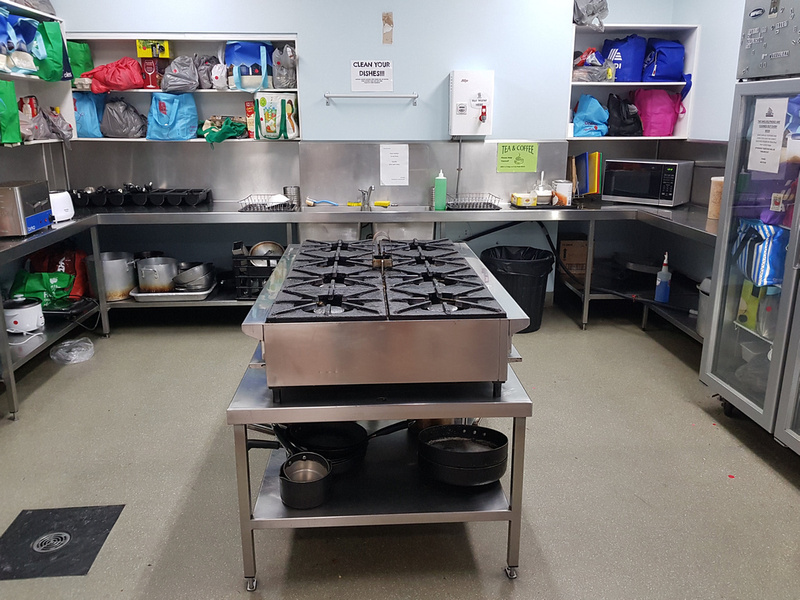 There is also a decent kitchen and cooking equipment if you are looking to save more money. There is free wifi at the hostel, which has a daily data cap per user. An unfortunate standard feature of Australian wifi in hotels and hostels. Overall this was a good hostel to stay at in Melbourne. It wasn’t anywhere near the same quality as the last hostel I stayed at, but it was good enough. Book the Melbourne City Backpackers online or search for more hotels in Melbourne.